Copyright 2011 Adriana's Cleaning Services: House Cleaning St. Louis. All Rights Reserved. Our cleaning service plan will include everything you'd come to expect from a professional cleaning company in St Louis. 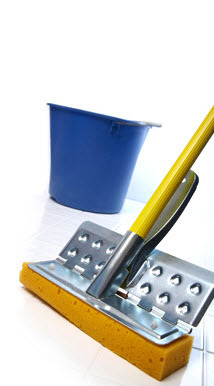 In addition to the basic cleaning services, you can also add deep cleaning services to your order. Our routine cleaning/maid service includes the list below. All your linens are changed and beds are made. Please don't forget to put out fresh linens! Cleaning cabinets and drawers inside and out. Cleaning countertops and sinks, fixtures polished. Cleaning bathtubs, shower stalls, toilets, and shower doors. Stained woodwork (cabinets, etc.) shall be wiped down with polish after Cleaning. Mirrors and all glass cleaned and polished. Appliances removed of coverings and wiped. Sweep, scrape and hose off stairs, landings, walks, decks, patios, and garage floors. Containers are available if required, purchase order necessary. Washing all windows, interior and exterior, and cleaning all tracts. dusting and high dusting,general straightening. The garage and attic are areas of the home that nobody likes to clean. We do! We can provide debris removal if necessary and power washing of that garage floor to get it looking like new. cleaning services from rafters to floor and will do all or only a portion. *Please note that we cannot do water extraction.